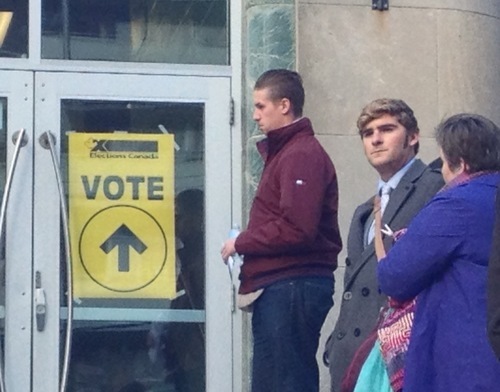 Canadians head to the polls today after a 78-day-long federal election campaign. Find out how and where to cast your ballot here. Unsure where you stand on the issues? 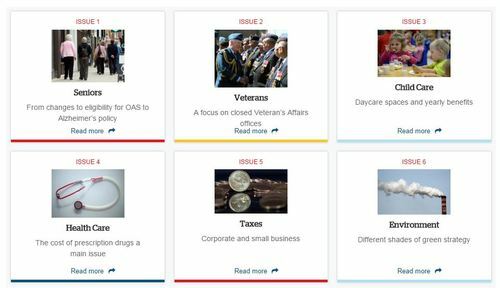 Take the Vote Compass to find out how your views line up with those of the different federal parties. 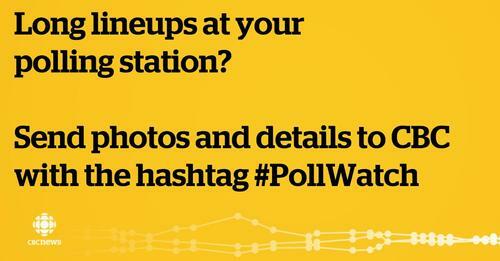 Then follow the federal election results with CBC News. 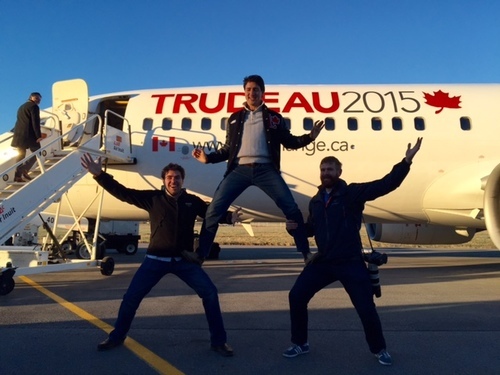 Justin Trudeau poses with his photographer and executive assistant at dawn on voting day. 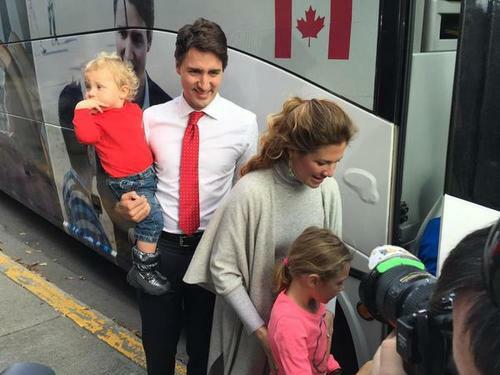 Trudeau and his team touched down at Pierre Elliott Trudeau airport at 7:30 this morning after flying overnight from Vancouver. 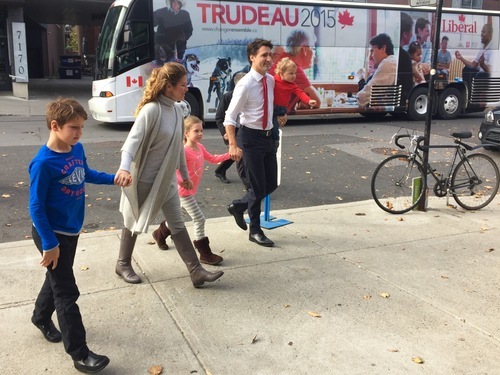 Trudeau plans to vote later today in Montreal. 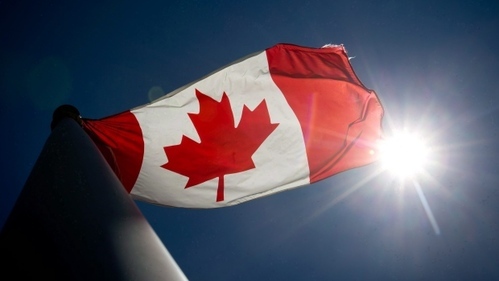 While the winner of the longest federal campaign in recent Canadian history may not even be known by the time night turns to morning, trends in the hours leading up to the final call will provide some key insights into how things could shape up. And there will be other developments, too, throughout the evening and even after all the results are in, that will be of interest. 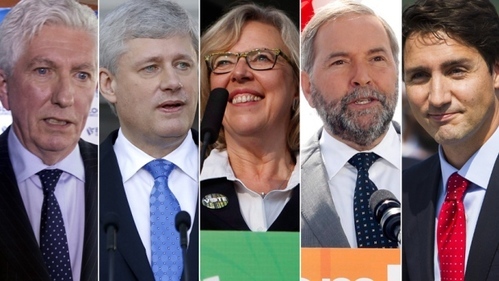 Read about the seven things to look out for during election night. 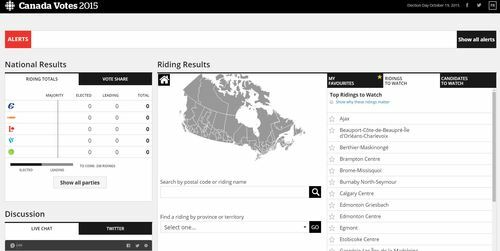 From the east coast to the west, here are 30 hotly contested ridings to keep an eye on throughout Monday night. Here's how and where to cast your ballot on election day. 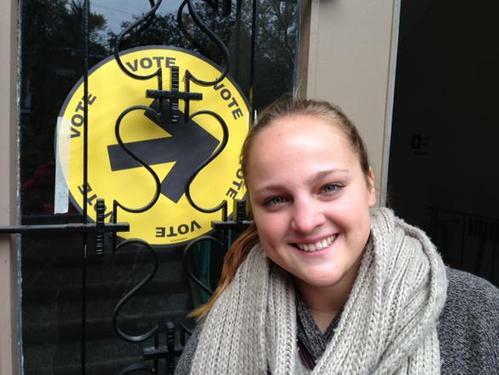 The last federal election produced a voter turnout of barely 60 per cent. Try to explain that to people in countries where they just won the right to vote. 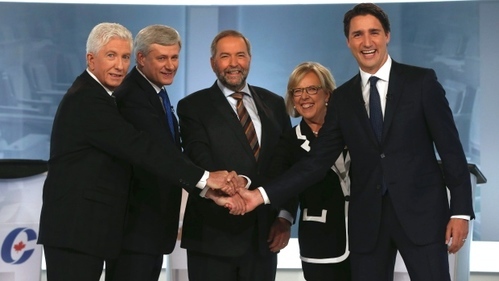 They don't get it, and neither should we, writes Peter Mansbridge. 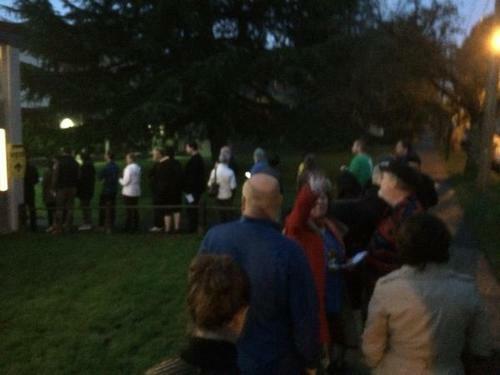 Looks like there are line ups outside of some polling stations. 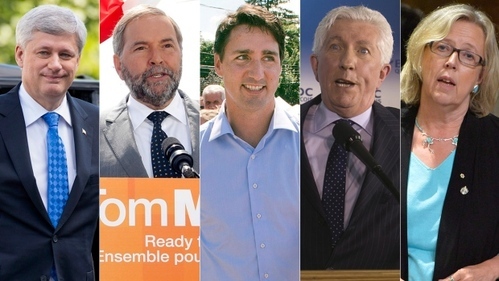 Follow the federal election results with CBC News. 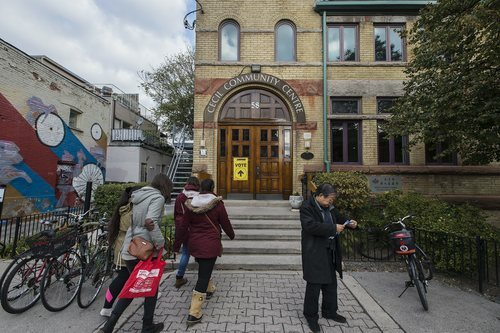 Voters wait for a polling station to open in downtown Toronto. 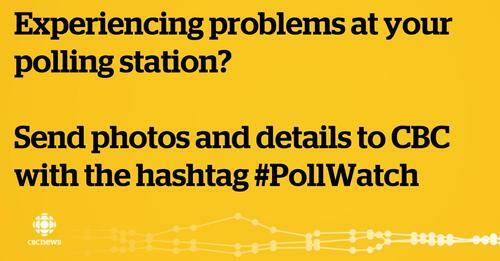 Why your vote matters, featuring Jay Baruchel. 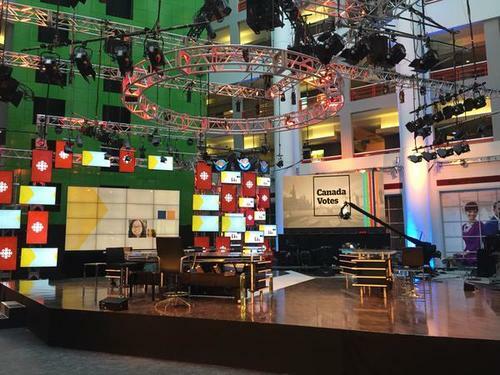 A sneak peek at CBC's election special. Watch tonight at 6:30 p.m. 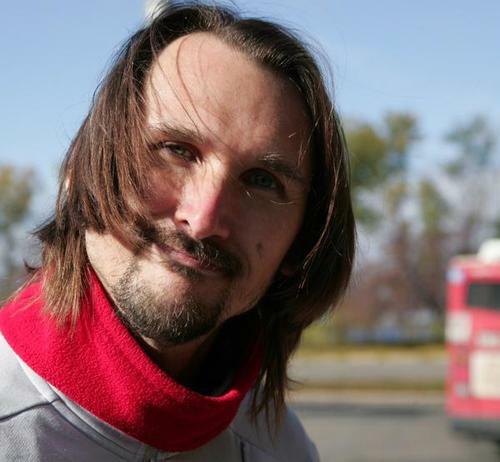 ET: www.cbcnews.ca/canadavotes. This is my non partisan "take time to vote tomorrow" tweet. 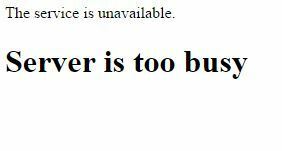 Elections Canada website appears to be down. Check how and where to cast your ballot here. 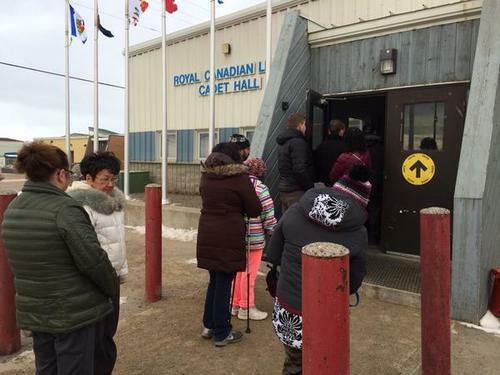 Voters line up in Iqaluit, Nunavut. 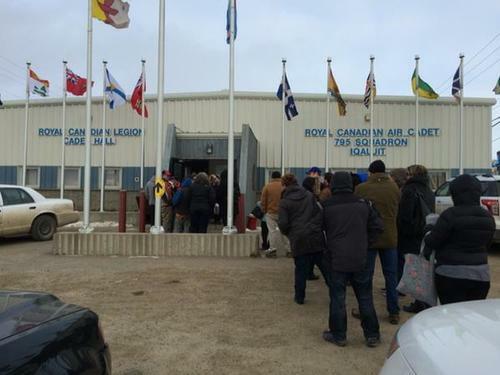 After an exhaustive 78-day campaign that saw the main federal party leaders try to woo voters with sharply contrasting visions for the country's future, election day has finally arrived and polling places have started opening their doors. 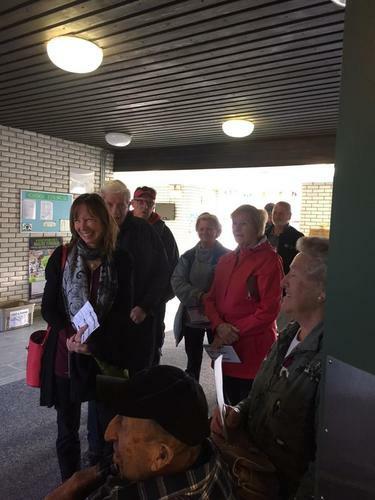 Polling places in the Maritimes and Newfoundland and Labrador opened at 8:30 a.m. local time, and some of the 26.4 million eligible electors in Canada have begun arriving to cast their ballots in an election that is expected to have a high turnout. 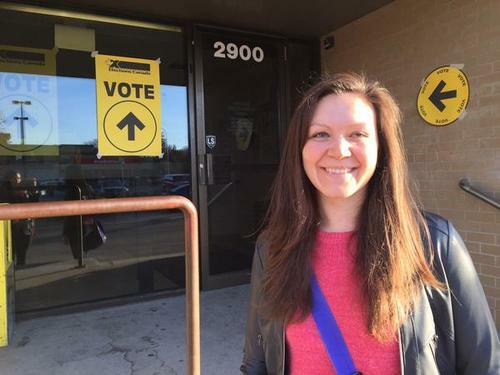 While polls across the country are open today from 9:30 a.m. to 9:30 p.m., a voter in a riding north of Toronto was surprised to learn that a poll will close at 1:30 p.m. 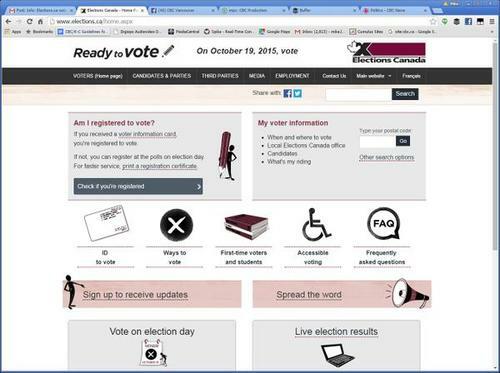 Although it's not specified on the voter information card, according to Elections Canada it's "a mobile poll." 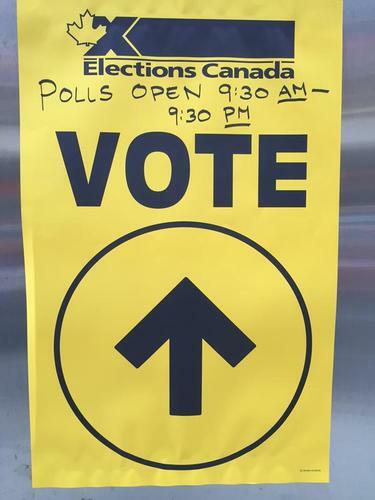 Posting a photo of a completed ballot is a violation of Section 164 2b of the Elections Act. 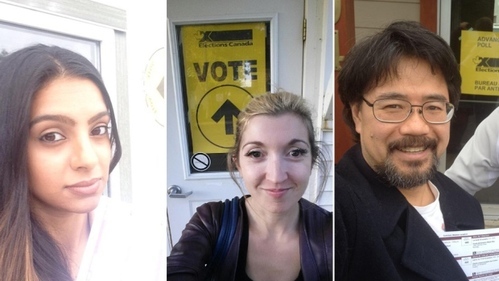 Read more about the rules for posting voting selfies. 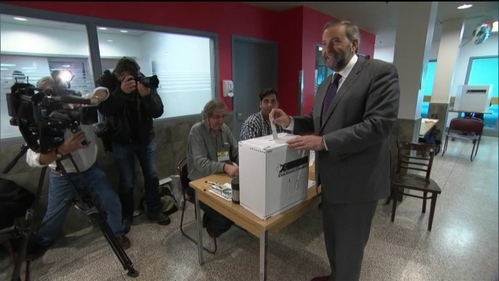 NDP leader Tom Mulcair voted during advance polls. 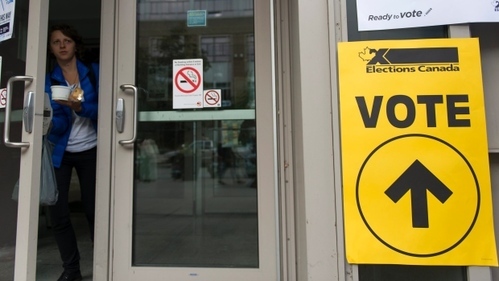 Elections Canada says 3.6 million votes were cast during four days of advance polls. 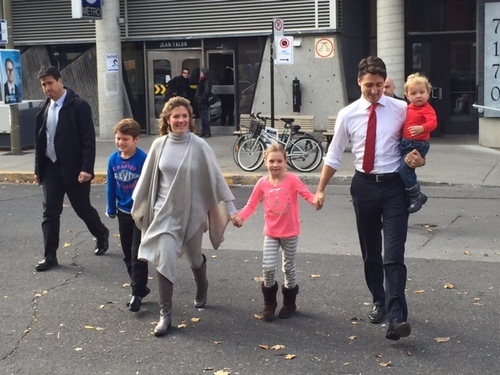 Liberal leader Justin Trudeau and his family arrive at a polling station. 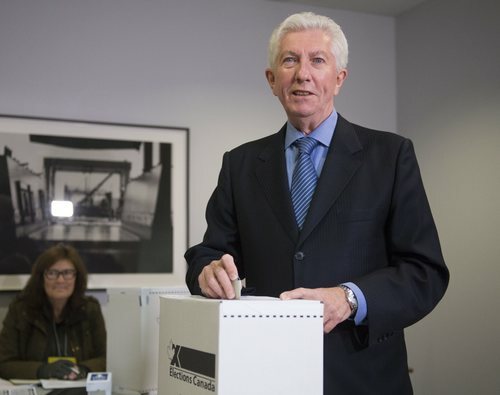 Bloc Quebecois leader Gilles Duceppe arrives at a polling station with his wife Yolande Brunelle to cast his ballot in the federal election. Some parts of Canada are getting their first taste of winter, especially in the North and East, making the message to voters crystal clear: dress warmly for your trip to the polls. 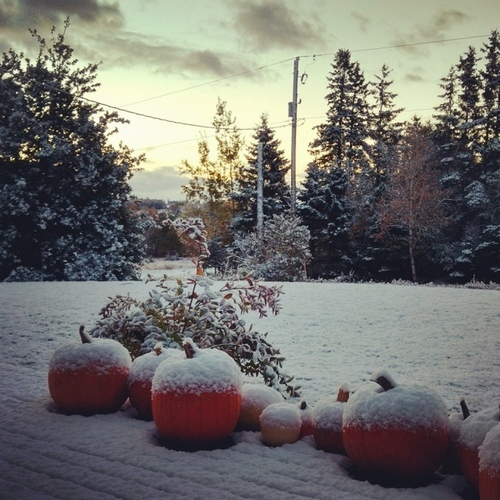 There is "a lot of cold air pooling up across eastern Ontario" and toward Atlantic Canada, with western Newfoundland getting some snow Monday morning, the Weather Network's Chris Murphy reported on CBC News Network. 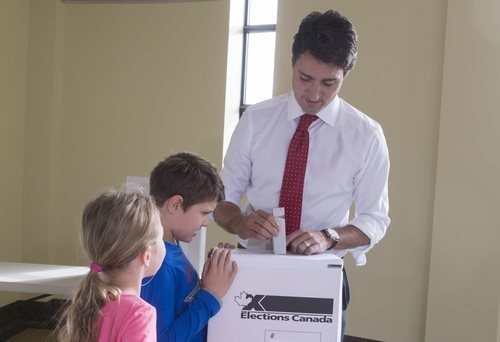 Liberal leader Justin Trudeau votes in the federal election while accompanied by his son and daughter. 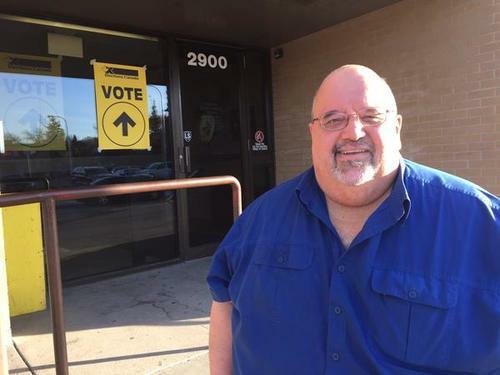 Some 3.6 million ballots were cast over a four-day period — an increase of 71 per cent over advance ballots in the 2011 election, when only three days of advance polls were held. 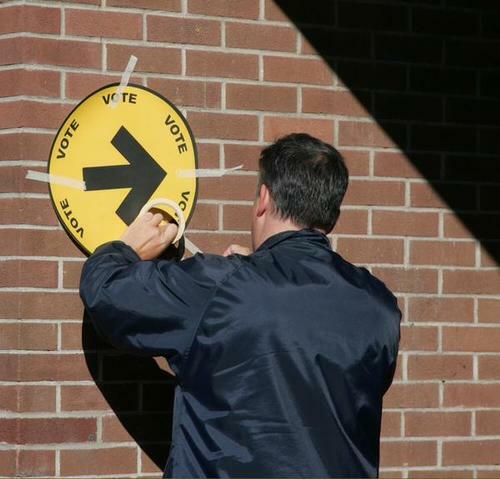 Elections Canada is making preparations to cope with what the agency expects will be a heavy voter turnout for Monday's election. 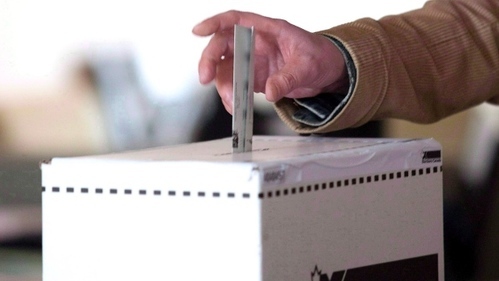 The agency says returning officers in individual ridings can either add additional staff to count ballots or if extra workers aren't available, the vote count can start before the polls actually close. 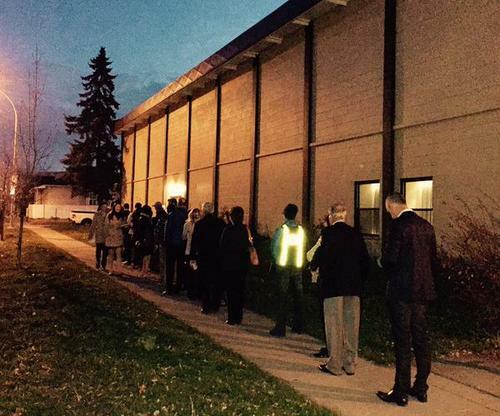 Voters head inside a polling station for the riding of University-Rosedale on election day. 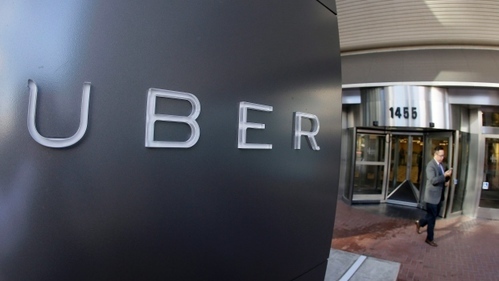 Uber is offering new users free rides to and from polling stations on Election Day in the cities where it operates. A representative from Uber says the company will cover rides to the polling station and back again, for first-time customers only, up to $15 each way. The offer will be available in Edmonton, Calgary, the Greater Toronto Area, Ottawa, London, Hamilton, the Waterloo Region, Quebec City and Montreal. Find out where the main federal parties stand, on issues from the environment to balanced budgets. 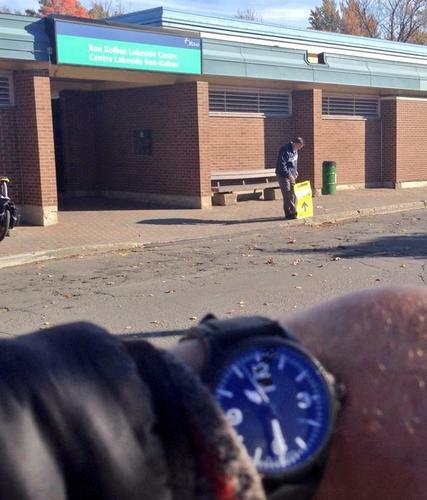 There have been reports of delays in a polling station opening in the Ottawa West-Nepean riding. 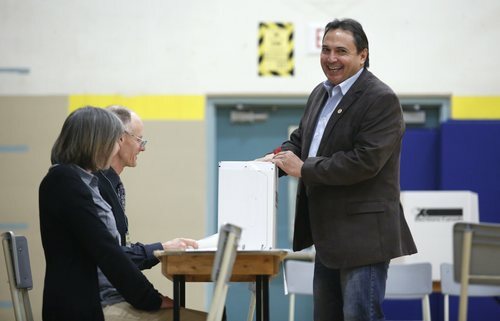 Assembly of First Nations National Chief Perry Bellegarde casts his vote in the 2015 federal election at the Hopewell Avenue Public School polling station in Ottawa. 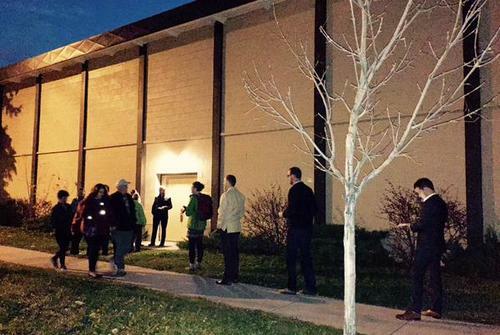 There are reports that multiple polling stations opened late. @prairietara Volnteers say they can't start because elections offr isn't here yet. 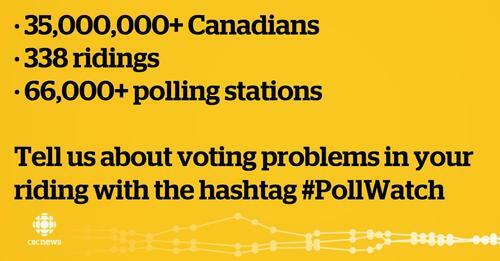 People have called elections Canada. 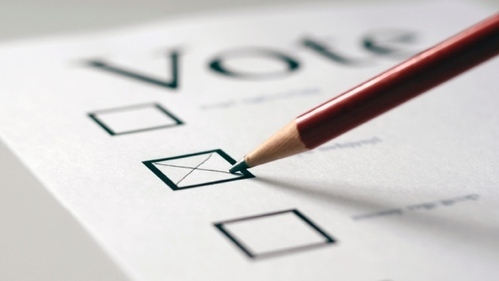 They said "ok"
Here is a primer for how and where to cast your ballot. If you are registered, you should have received a voter information card in the mail telling you where to vote. If you did not receive one, you can also use the online Voter Information Service to find out where to vote. 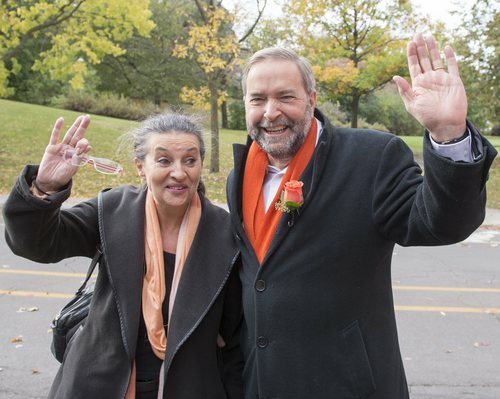 NDP leader Tom Mulcair and his wife, Catherine Pinhas, wave after visiting with campaign volunteers in Montreal on election day. 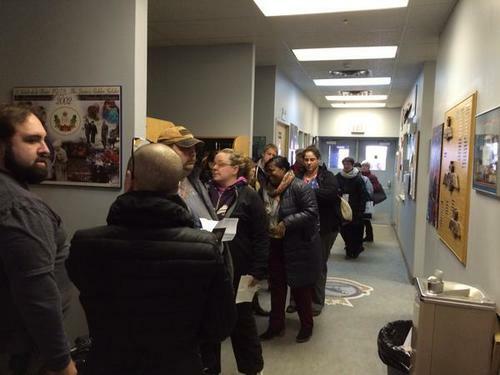 Every Canadian has the right to demand three consecutive hours from an employer to cast their vote, according to Elections Canada. But don't get too excited, there are limits. 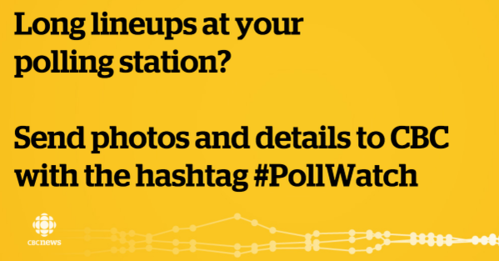 For example: if a person lives in a riding where voting hours are 9: 30 a.m. until 9:30 p.m. PT and you work 11:00 a.m. until 7 p.m. PT, then the employer must allow the individual to arrive late or leave early to enable them to have three hours when polls are open during the day. 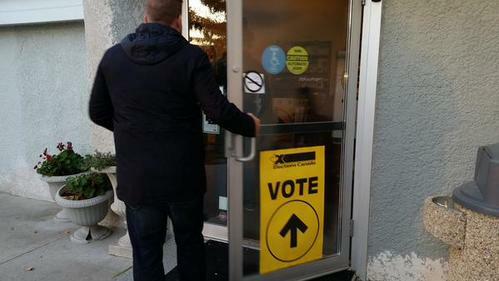 People across the country are voting in the federal election today.